Roberta D. Pichini, a personal injury attorney and partner with the Philadelphia law firm of Feldman Shepherd Wohlgelernter Tanner Weinstock Dodig LLP, was recently selected by her peers for inclusion in The Best Lawyers in America® 2012 (Copyright 2011 by Woodward/White, Inc., of Aiken, S.C.) in the practice areas of Medical Malpractice Law — Plaintiffs and Personal Injury Litigation — Plaintiffs. Bobbie Pichini The Best Lawyers in AmericaPichini has litigated countless cases during her more than 25 years of practice. She represents seriously injured infants, children and adults in medical malpractice matters, such as obstetrical negligence, delayed diagnosis of cancer, emergency room errors and patient abuse by therapists, as well as victims injured by defective products or by catastrophic auto and boating accidents. 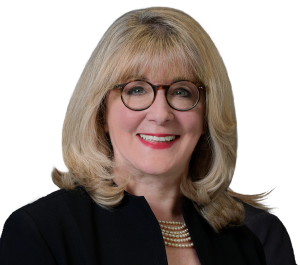 The first woman in Pennsylvania to be invited into the prestigious International Academy of Trial Lawyers, Pichini was elected the organization’s first woman officer in 2003 and became the first woman President in 2011. Pichini has also been invited to join the American College of Trial Lawyers and ABOTA (American Board of Trial Advocates), and is a member of the Million Dollar Advocates Forum. Pichini has been consistently recognized as a Pennsylvania Super Lawyer® by Thomson Reuters, published annually in Philadelphia magazine. In 2007, 2008, 2009 and 2010, Pichini was named a Top 50 Pennsylvania Super Lawyer®, and a Top 100 Philadelphia Super Lawyer®. In 2006, Pichini was honored with the Philadelphia Bar Association’s Sandra Day O’Connor Award, which is presented annually to a woman attorney who has demonstrated superior legal talent and accomplishments while furthering the advancement of women in both the profession and the community.